Thanks to my involvement in Lichfield Live I discovered earlier this year a project based out of Woodhouse Community Farm in Fisherwick, near Whittington. 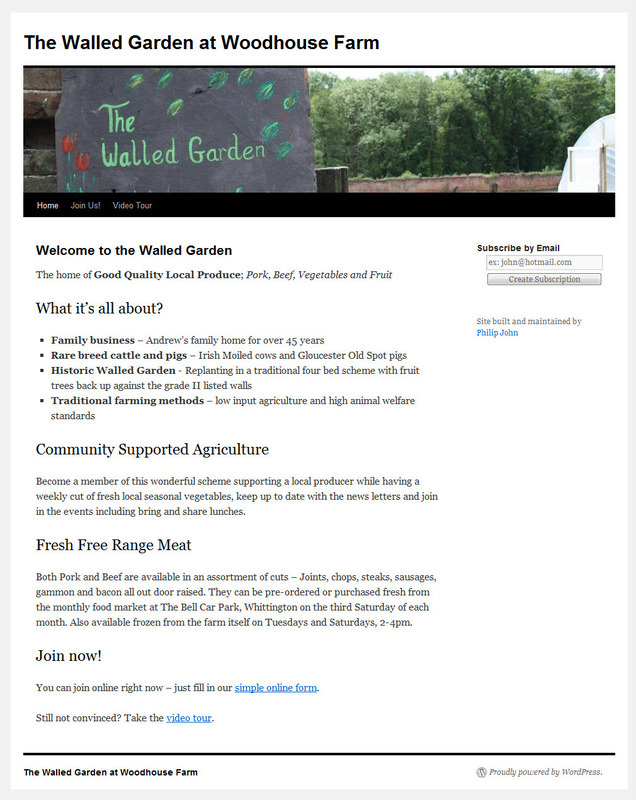 The Walled Garden is a community-supported agriculture project set mostly within the listed walls that once stood part of the Fisherwick Hall Estate. Jess and I joined in July and for our £38.80 per month we get a box full of vegetables every week which I collect on my bike. It’s a great project where we chip in as well and there are some exciting developments ahead. I also wanted to help by offering my skills as a WordPress developer and so I built a web site for new and existing members. The aim was to create a site which informed potential new members about the project, allowed them to sign up online whilst also distributing updates to current members which would be available online for anyone interested to see. 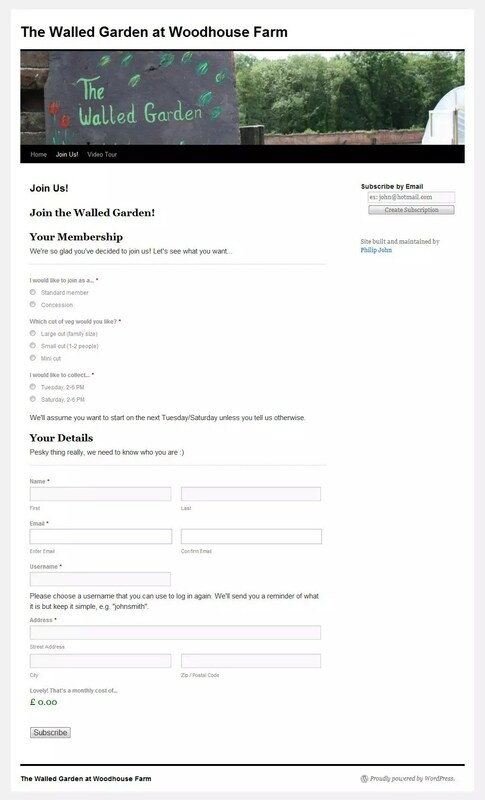 Starting with a simple WordPress site I modified a newsletter to create the welcome page which outlined what The Walled Garden is all about and why it’s such a great idea! 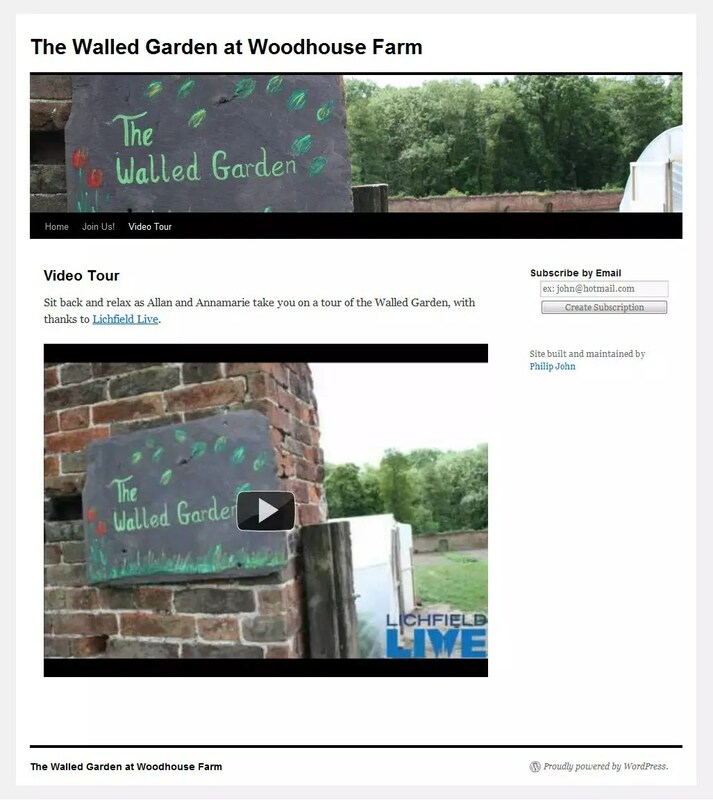 I’d already created a video tour of the place for Lichfield Live, which I embedded on another page for all to see. Then, using the most excellent Gravity Forms plugin (a must have plugin) I built a sign up form. Using pricing fields it automatically calculates the price to pay based on the size of box you want and the membership fee. Adding a user account was also crucial for the next step; sending out updates by e-mail. This is my favourite bit! Instead of sending out e-mails to all the members each week, Annamarie now creates a new post in WordPress and once published, the post is automatically e-mailed out to all the members, using the Subscribe by Email plugin. Now anyone visiting the site can even see what they’ll be getting each week! Lastly, I wanted to make sure that the whole system wasn’t overcomplicated for Annamarie. WordPress can be quite daunting, especially if all you need to do is add a new post. 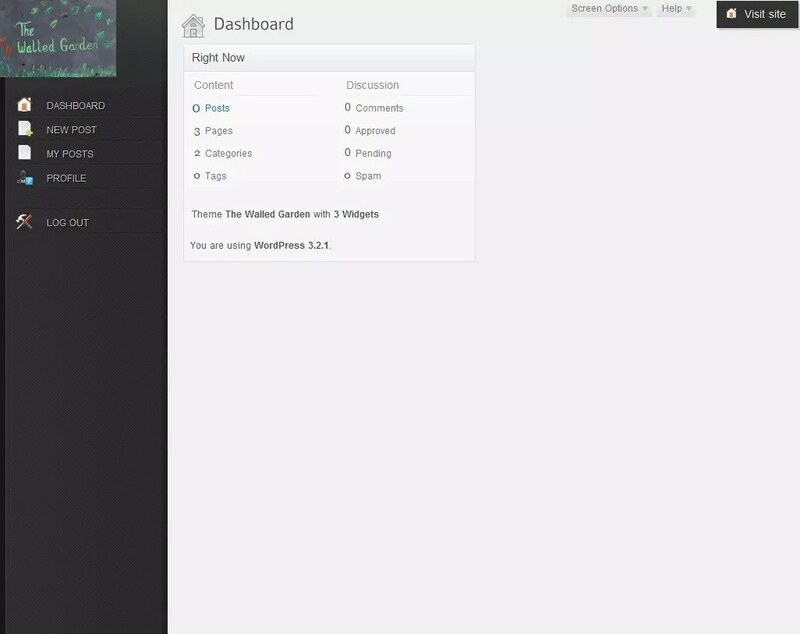 So I’ve used the excellent Easy Blogging plugin to present a really simple, streamlined interface. I’ve taken screenshots of the site, including that simple dashboard, which you can check out below. Hello from the US! I really like how you outlined your process. I’m thinking about developing WP sites on a local basis out here in western Massachusetts, New England, now that I’ve moved out of New York City. I’ll bookmark your blog. Cheers!